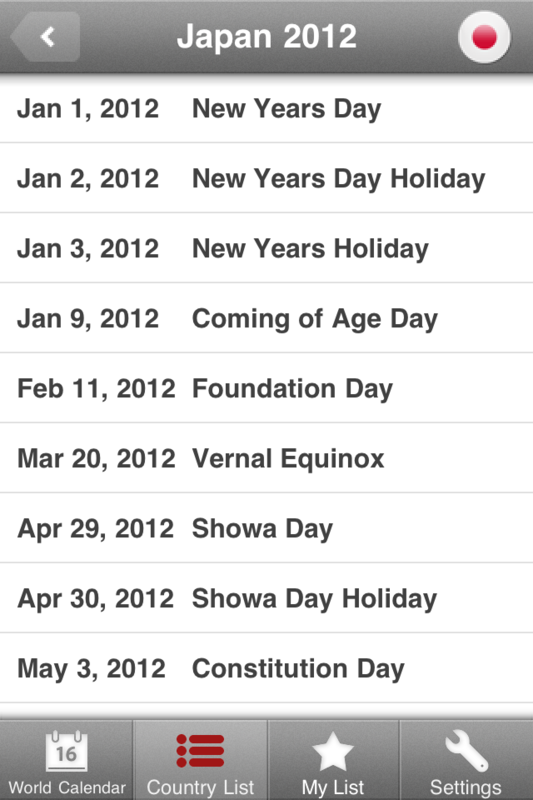 -This calendar can search world holidays in 244 countries and regions in 2012-2013. 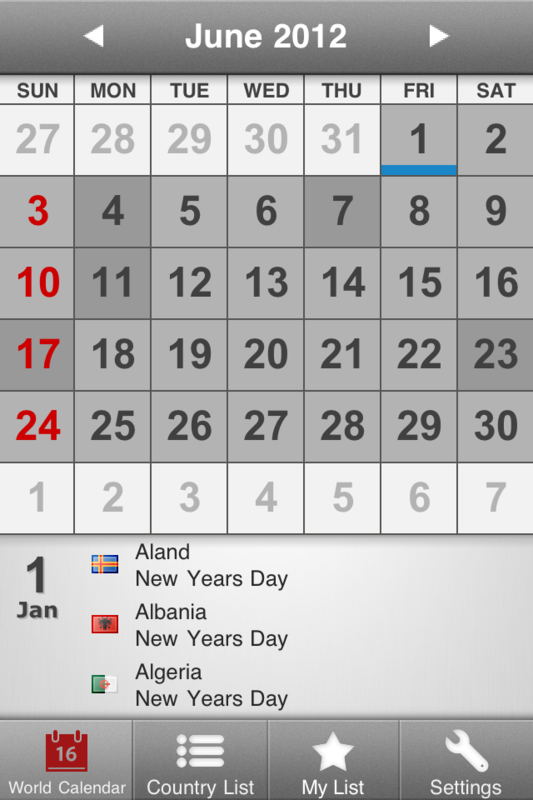 -You can make original holidays calendar only you selected countries. 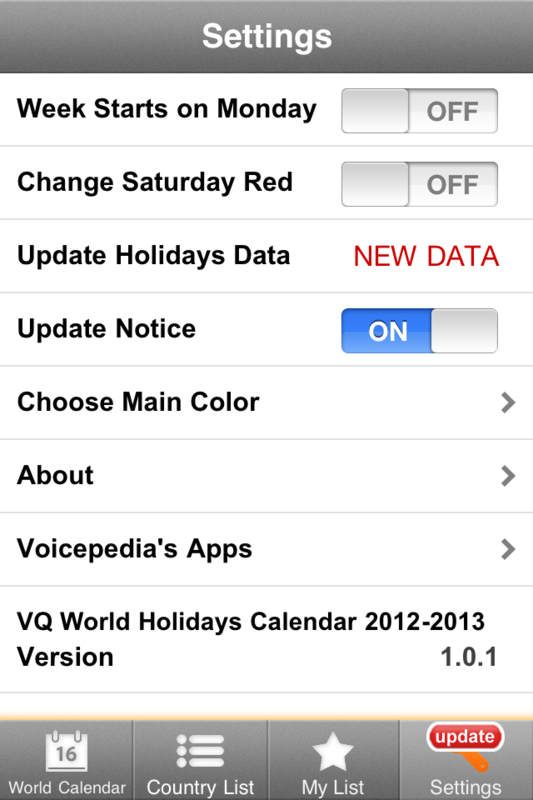 -Please certainly update latest holidays data after you download this app. 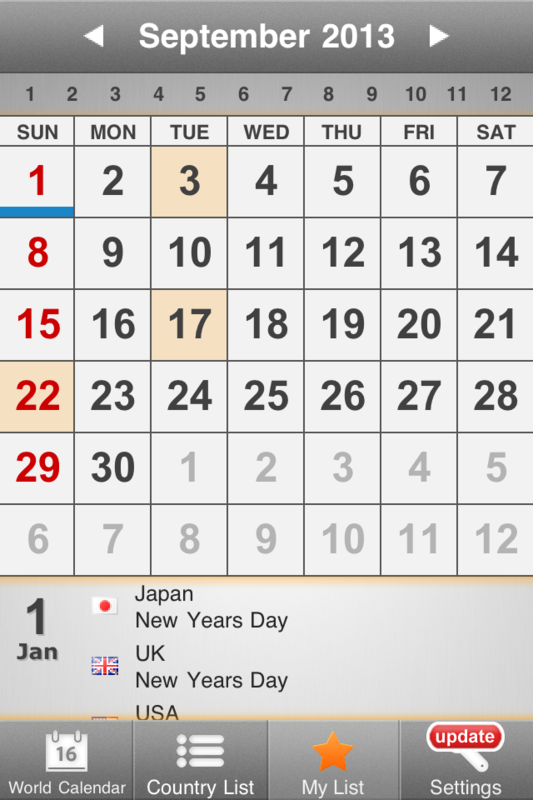 Overseas business trip, Overseas trade, Study Abroad, Overseas travel, Bank holidays, Stock market holidays, Religions holidays, Government holidays. -Voicepedia Inc. assume no responsibility whatsoever for any damages resulting from the use of this application.